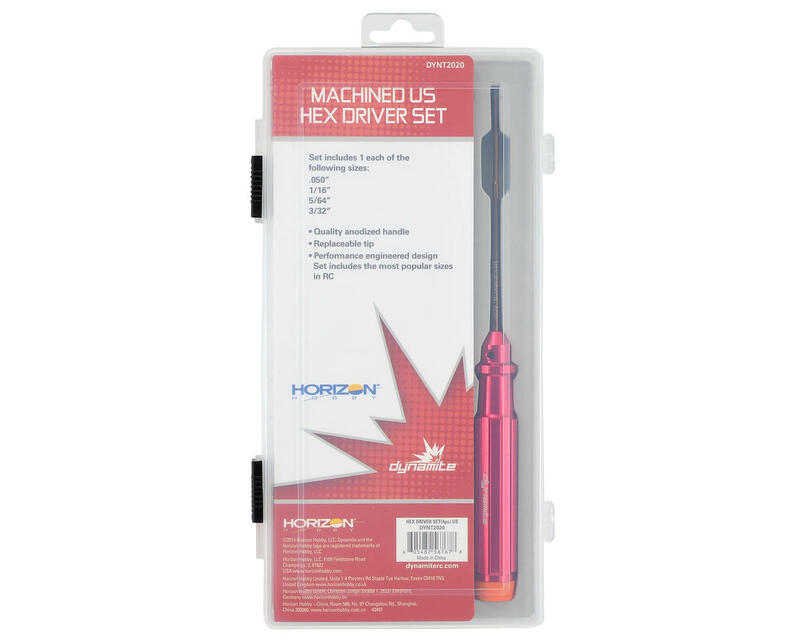 This is a Dynamite Machined Standard Hex Driver Set. 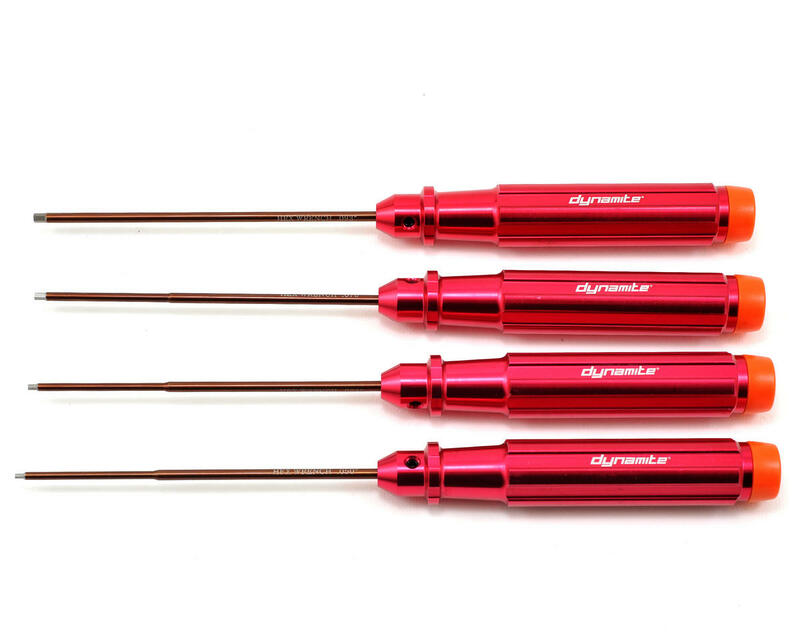 Dynamite tools feature stylish red anodized aluminum handles, with replaceable steel tips. To make wrenching easier on your hands, the handles include rotating plastic end caps to swivel in your palm. Plus, the end caps have the tool size printed on the end, and are color coded for easy identification. Package includes .050", 1/16", 5/64" and 3/32" size hex wrenches. These are great. Standard hex is perfect for Traxxas RC's.